Paul Stasiak of PSD Designs has released another machined titanium masterpiece! Every time we get something new in from him, we always have to take a while to just go over the intricate details of the piece that are usually so subtle that they are easy to miss. 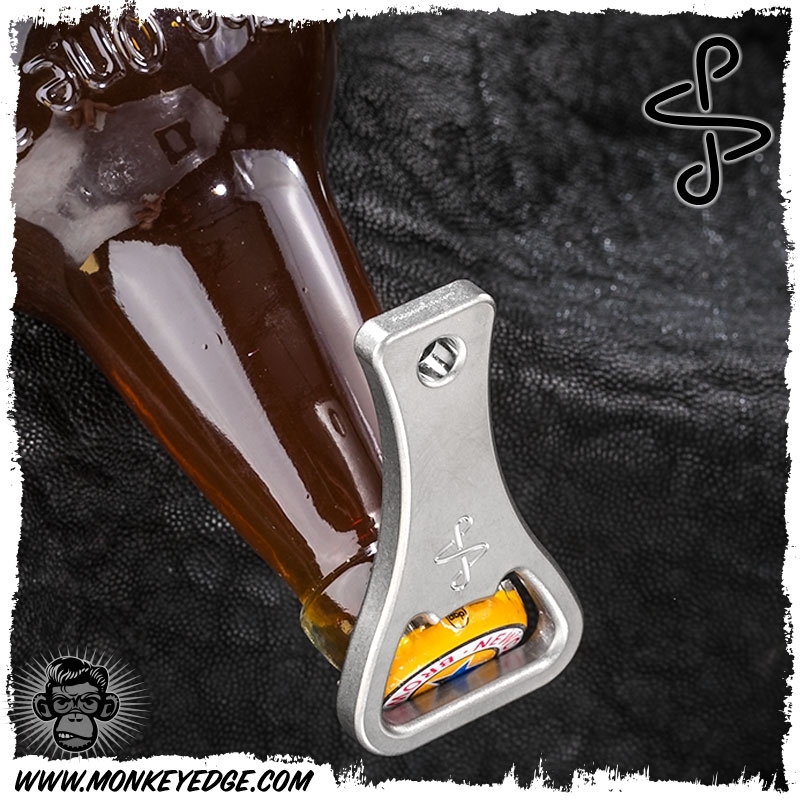 The Double Infinity Bottle Opener has this trait in spades, and there is a ton of little design details that makes this not-so-ordinary bottle opener into a sleeper high-tech gadget! Paul has been revising this design for the past year or two now, making sure he got everything from the feel of the opener, to the action, just where he wanted it. Once of the coolest features is the slotted 'double opener' design. 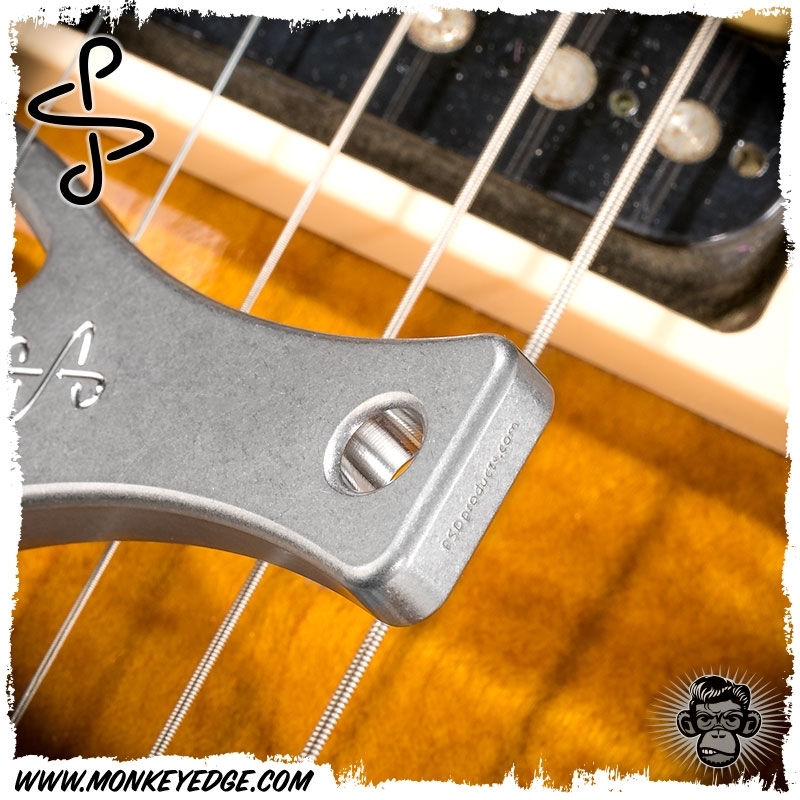 If you look at the contact point of the opener, you will see the slot in the face. 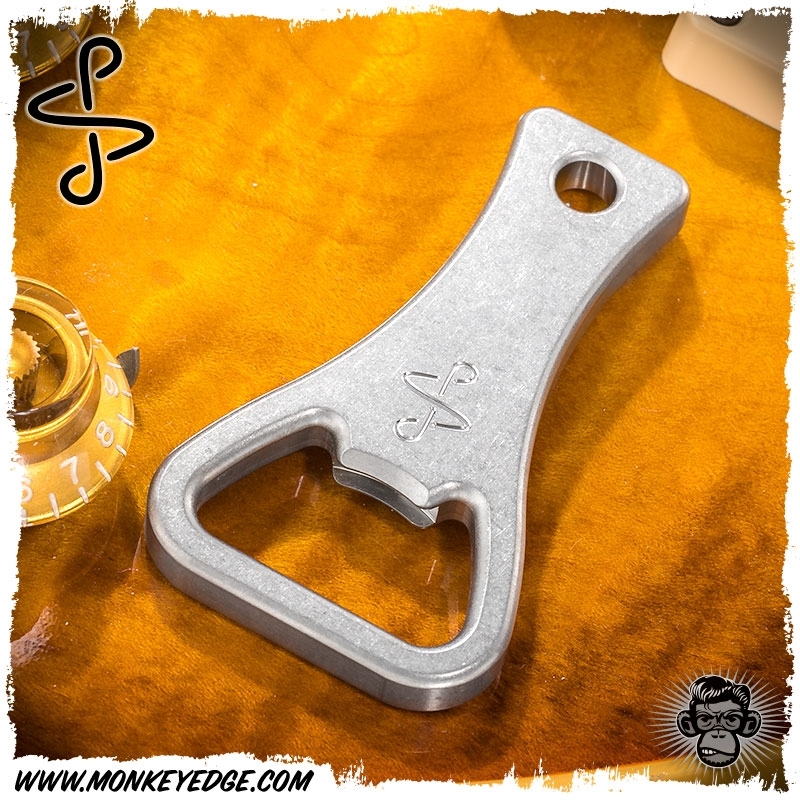 This gives you two lifting surfaces to use, the inner shelf and top, outside edge, something we have never seen in any other opener and will accommodate both US and Non-US style caps, making for a great opener wherever you are! The size is just right to be big enough for easy opening, yet small enough to be able to take with you if you will be in need. Precision machined from .250 inch thick 6AL4V titanium and given a nice tumbled finish, these things start as solid chucks of Ti, then go through 16 different machining steps to get to the awesomeness you see! The results are easy to see and easier to feel thanks to the smooth, beveled design. 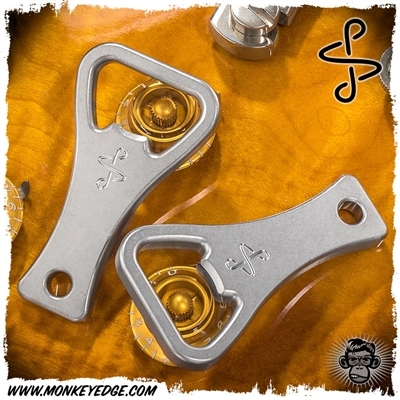 The non-business end features a lanyard hole for attaching to your keys or some cord. 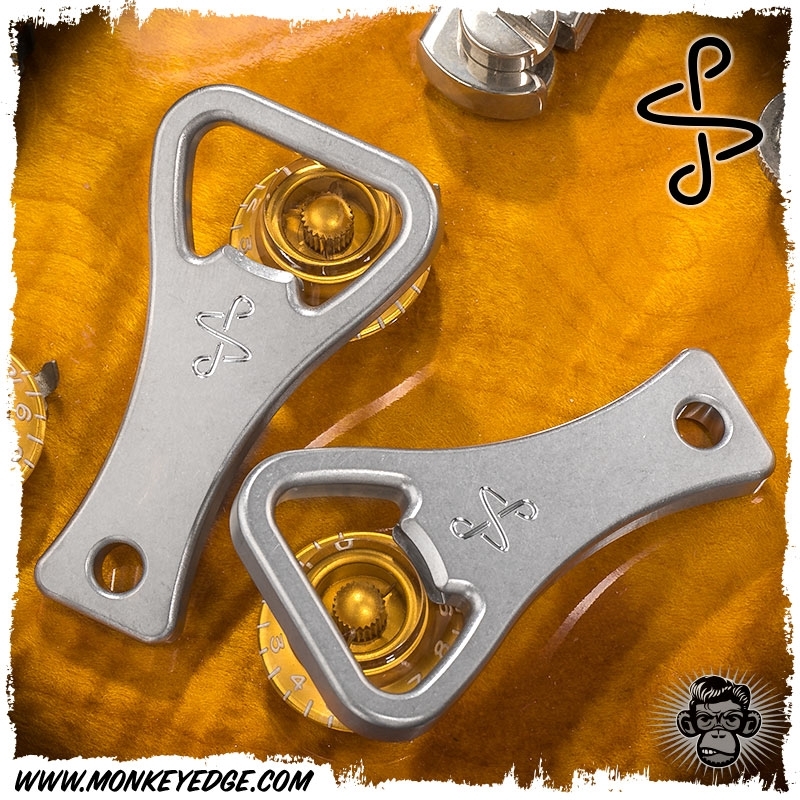 The PSD Double Infinity logo is machined on both sides of the opener flats.